Eric Patrick Clapton was born on 30 March 1945 in his grandparents’ home at 1 The Green, Ripley, Surrey, England. He was the son of 16-year-old Patricia Molly Clapton (b. 7 January 1929, d. March 1999) and Edward Walter Fryer (b. 21 March 1920, d. 1985), a 24-year-old Canadian soldier stationed in England during World War II. Before Eric was born, Fryer returned to his wife in Canada. Eric was raised in a musical household. His grandmother played piano and his uncle and mother both enjoyed listening to the sounds of the big bands. Pat later told Eric’s official biographer, Ray Coleman, that his father was a gifted musician, playing piano in several dance bands in the Surrey area. Quiet and polite, he was characterized as an above-average student with an aptitude for art. But, from his earliest years in school, he realized something was not quite right when he wrote his name as “Eric Clapton” and his parents’ names as “Mr. and Mrs. Clapp”. At the age of nine, he learned the truth about his parentage when Pat returned to England with his six-year-old half brother for a visit. This singular event affected him deeply and was a defining moment in his life. He became moody and distant and stopped applying himself at school. Emotionally scarred by this event, Eric failed the all-important 11 Plus Exams. He was sent to St. Bede’s Secondary Modern School and two years later, entered the art branch of Holyfield Road School. By 1958, Rock and Roll had exploded onto the world. For his 13th birthday, Eric asked for a guitar. Finding the inexpensive German-made Hoyer difficult to play - it had steel strings - he put it aside. In 1961, when he was 16, Eric began studying at the Kingston College of Art on a one-year probation. He was expelled at the end of that time for lack of progress as he had not submitted enough work. The reason? Guitar playing and listening to the blues dominated his waking hours. Typical of his introspective nature, Eric looked beneath the surface and explored the roots of rock in American Blues. The blues also meshed perfectly with his self-perception as an outsider and of being “different” from other people. Sometime in 1962, he asked for his grandparents’ help in purchasing a £100 electric double cutaway Kay (a Gibson ES-335 clone) after hearing the electric blues of Freddie King, B.B. King, Muddy Waters, Buddy Guy, and others. Eric spent his early days in music busking around Richmond and Kingston, he also began spending time in London and the West End. In early 1963, 17 year-old Eric joined his first band, The Roosters. Following the band’s demise in August 1963, he spent one month in the pop-oriented Casey Jones and The Engineers. Before turning to music as a full-time career, he supported himself as a laborer at building sites, working alongside his grandfather, a master bricklayer and plasterer. Eric looked beneath the surface and explored the roots of rock in American Blues. After leaving the Bluesbreakers for a second and final time in July 1966, Eric teamed up with Jack Bruce and Ginger Baker to form Cream. Extensive touring in the U.S. and three solid albums - Fresh Cream, Disraeli Gears, and Wheels of Fire - brought the band worldwide acclaim. 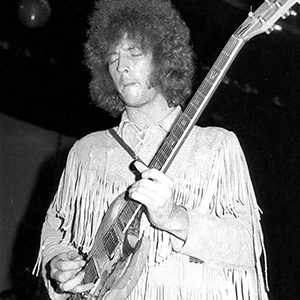 While a member of Cream, he cemented his reputation as rock’s premier guitarist and was elevated to superstar status. Although Cream was together for only two years, they are considered one of the most influential rock groups of the modern era. Clapton was unique because he did not simply replicate the blues riffs he heard on records. He incorporated the emotion of the original performances into his own style of playing, thus expanding the vocabulary of blues guitar. Cream crumbled beneath the weight of the member’s egos and constant arguing. They disbanded after two final performances at London’s Royal Albert Hall on 26 November 1968. Following Cream’s break-up, Clapton founded Blind Faith - rock’s first “supergroup” - with Steve Winwood, Ginger Baker, and Rick Grech. Disbanding after one album and a disastrous American tour, Eric tried to hide from his growing fame by touring as a sideman with Delaney & Bonnie & Friends. While with this outfit, Eric was encouraged to sing by Delaney Bramlett. He also began composing more. A live album from the Delaney & Bonnie tour was released in 1970. Clapton’s self-titled debut was released that same year. In the summer of 1970, Eric formed Derek and the Dominos with Jim Gordon, Carl Radle and Bobby Whitlock from Delaney & Bonnie’s band . The Dominos would go on to record the seminal rock album, Layla and Other Assorted Love Songs. A concept album, its theme revolved around Clapton’s unrequited love for George Harrison’s wife, Patti. The band would drift apart following an American tour and a failed attempt at recording a second album. Hit hard by the break up of The Dominos, the commercial failure of the Layla album and his unrequited love, Eric sunk into three years of heroin addiction. Although he rarely emerged from his Surrey Estate, he filled box upon box with tapes of songs. He kicked his drug addiction and re-launched his career in January 1973 with two concerts at London’s Rainbow Theater organized by his friend, Pete Townshend (The Who). The concerts represented a turning point in his career. In 1974, he reappeared with a new style and sound with 461 Ocean Boulevard. Eric had become an assured vocalist and composer in addition to a guitar hero. In 1994, Eric returned to his blues roots with the release of From The Cradle. 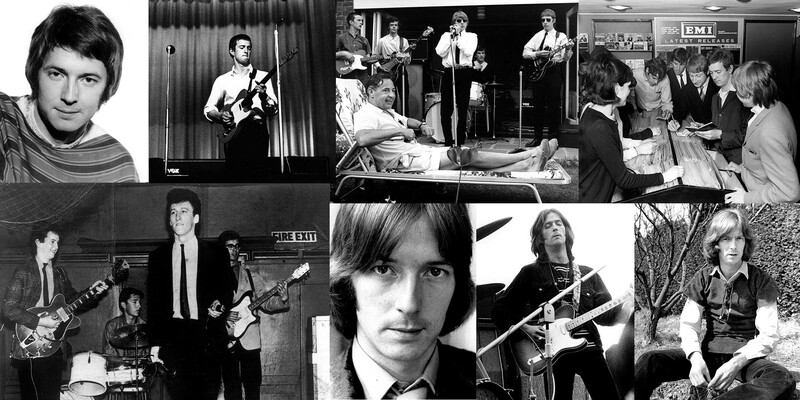 The album was Clapton’s tribute to his musical heroes and contained cover versions of blues classics. 1997 brought an excursion into electronica with the release of TDF’s Retail Therapy. Eric posed as X-Sample in the studio “band” TDF. In 1998, he released the soul-influenced Pilgrim, his first album of all new material in nine years. In 2000, he continued his love affair with the blues when he recorded an album with American blues legend, B.B. King. Riding With The King was released in June and within three weeks of release, was certified gold. Shortly after the release of Riding With The King, Clapton was back in the studio recording his next solo project. Reptile was released in March 2001. In late 2002, he began to record a new studio album. Work continued through the summer of 2003 and enough material was recorded for two albums. In addition to new solo material, Eric recorded covers of Robert Johnson songs during these sessions. The Johnson songs were assembled and in March 2004, Eric’s tribute album, Me and Mr. Johnson was released. The solo material recorded during these sessions was released in 2005 on Back Home. In 2005, Eric, Ginger Baker and Jack Bruce revisited the past when they re-formed Cream for four reunion concerts in May at London’s Royal Albert Hall. Their farewell shows had taken place at the venue 37 years earlier in November 1968. In October, Cream performed three further concerts at New York’s Madison Square Garden. The London shows were released on CD and DVD, and later Blu-Ray and digital formats. Eric had become an assured vocalist and composer in addition to a guitar hero. Eric’s next studio project was to be produced by one of the architects of the “Tulsa Sound,” J.J. Cale. Eric had long admired Cale’s work, having recorded versions of “After Midnight,” “Cocaine,” and “Travelin’ Light.” The album soon turned into a collaborative effort. The Road To Escondido was released to critical acclaim in November 2007. The following February, it won the Grammy Award for Best Contemporary Blues Album (Vocal or Instrumental) at the 50th Annual Awards Ceremony in Los Angeles. In September 2009, Eric released his 19th studio album, Clapton. "Run Back To Your Side", one of the album tracks, received a Grammy nomination for Best Solo Rock Vocal Performance. The following years have seen the release of solo albums Old Sock (2013), I Still Do (2016) and Happy Xmas (2018), a live recorded collaboration with jazz great Wynton Marsalis and as “Eric Clapton and Friends,” an album of songs honoring J.J. Cale’s legacy. Then, there are the more than 200 recording sessions and live guest appearances for artists ranging from Aretha to Zucchero. Eric’s first recorded guest session was for Otis Spann in May 1964. Undoubtedly, his most well-known is when he added guitar to George Harrison’s composition, "While My Guitar Gently Weeps” in September 1968. Most recently, he contributed to “The Watcher,” a track on Hawkwind’s Road To Utopia (2018). Eric can be heard on records by Gary Brooker, Bob Dylan, Bob Geldof, Elton John, Carole King, Plastic Ono Band (John Lennon and Yoko Ono), Stephen Stills, Sting, Roger Waters and many more. He’s been a surprise on-stage guest for B.B. King, The Rolling Stones, Jimmie Vaughan, Prince, Tina Turner, Carlos Santana, Sheryl Crow, Willie Nelson, Luciano Pavarotti and the Allman Brothers Band just to name a few. With more than 50 years of touring under his belt, Eric has played in excess of 3,000 concerts. He has given concerts in 58 countries across six continents and played to over 2 billion people. Since 1964, he has appeared at London’s Royal Albert Hall more than 200 times. Between 1987 and 1996, he held annual residencies at the venue which reached their peak in 1991 with 24 nights that featured five different band formats including a full orchestra. Across the Atlantic, he has graced the stage of Madison Square Garden more than 50 times since 1968. Eric’s 2001 and 2006/2007 world tours were amongst his most ambitious with 104 and 119 shows respectively. The 2000s also saw him collaborate on stage with old friends Steve Winwood and Jeff Beck in limited live performances. Upon reaching age 70 in 2015, Eric announced his “retirement” from lengthy worldwide touring but stressed he would continue to record new music and perform on a reduced scale as his love of playing hasn’t abated. Eric commemorated his 70th birthday with a series of shows in at Madison Square Garden and the Royal Albert Hall. One of the London concerts was released in audio and video formats as Slowhand at 70. In 2016, he performed a handful of dates at Tokyo’s Nippon Budokan, released on DVD / Blu-Ray as Planes, Trains and Eric. 2017 saw a series of shows in New York, Los Angeles and London. Eric’s 2018 itinerary has concerts in Germany, London’s Hyde Park before a crowd of 65,000 and a return trip to Madison Square Garden in October. Over the course of his career, Eric has received numerous awards and accolades. His first was "Best International Musician" in Melody Maker’s Pop Poll. He has won 18 Grammy Awards and a BAFTA for his work on the Edge of Darkness soundtrack. He is the only triple inductee in the Rock and Roll Hall of Fame as a member of The Yardbirds, Cream and as a solo artist. Eric has also been inducted to the Songwriters Hall of Fame. In September 2018, Eric was honored with one of the first stars on the Royal Albert Hall's Walk of Fame. In 1994, Queen Elizabeth II made Eric an Officer of the Order of the British Empire (OBE) in her New Year’s Honors List for “contribution to British Life.” In 2004, she honored him further when he was made a Commander of the Order of the British Empire, or CBE. After conquering his heroin addiction in the early 70s, Eric replaced it with an addiction to alcohol. For the remainder of the decade and into the 1980s, his personal life and work suffered due to his alcoholism. In January 1982, Eric entered the Hazelden Addiction Treatment Center. He did backslide but entered rehab for a second time a few years later. Eric has been sober since 1987 through the 12 steps of Alcoholics Anonymous. For more than thirty years, Eric has committed himself to working with those who suffer from addiction. In February 1998, Eric announced the opening of Crossroads Centre, an addiction treatment center on Antigua following the 12-step model. One of its principles is to provide subsidized care for some of the poorest people of the Caribbean who cannot afford treatment on their own. A foundation was established to provide “scholarships” for these individuals. To raise funds for the Crossroads Centre Foundation, Eric has held a series of Guitar Festivals and Guitar Auctions. On 24 June 1999, Clapton auctioned 100 of his guitars, including "Brownie" (the guitar on which he recorded “Layla”), at Christie’s Auction House / New York. The 1999 guitar auction netted almost $5 million (US) for the foundation. 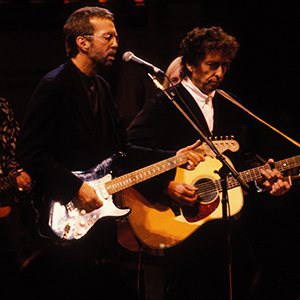 On 30 June 1999, Clapton hosted a concert to benefit the Centre at New York City’s Madison Square Garden. Proceeds from its airing on America’s VH1 and DVD and video sales benefited the Centre. Five years later, Eric planned a second fundraising effort for the Centre. On 4, 5 and 6 June 2004, he hosted the first Crossroads Guitar Festival in Dallas, Texas. The three-day event presented the cream of the world’s guitarists in a benefit event for the Centre. Additionally, a second guitar auction on 24 June 2004 raised $6 million for the foundation and included the sale of "Blackie," his legendary Fender Stratocaster and a cherry red Gibson ES335, known as "The Cream Guitar." A third guitar auction in March 2011 raised an additional $1.75 million. Eric also presented three further Crossroads Guitar Festivals in 2007, 2010 and 2013. Proceeds from sales of CDs and DVDs continue to benefit the Crossroads Centre Foundation. In October 2007, Eric's autobiography was published. Clapton - The Autobiography was translated into twelve languages and topped best-seller lists around the world. An unflinching documentary about his life, Eric Clapton: Life In 12 Bars premiered at the Toronto Film Festival in September 2017. It is available on DVD and Blu-Ray along with a companion soundtrack. Eric married Melia McEnery on January 1, 2002. The couple has three daughters: Julie Rose (b. June 2001), Ella Mae (b. January 2003) and Sophie (b. February 2005). He also has an elder daughter with Yvonne Kelly. Ruth (b. January 1985) is married with two young sons. Eric’s son, Conor (b. August 1986), died on 20 March 1991 when he accidentally fell from a window in his mother’s New York City apartment. Conor’s mother is Lori del Santo. Eric married his first wife, Pattie Boyd Harrison on 27 March 1979. They had no children and divorced in 1989.